This entry was posted in Issues & Opportunities on September 23, 2013 by Barbara Haas. 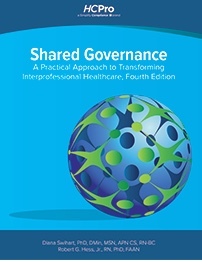 Its interesting to start see this kind of work on shared governance. Exploring staff experience through qualitative research will give us a new depth of knowledge and guide us moving forward. The nurses in my institution have the same concerns when it comes to the time and effort required to contribute to shared governance activities. I believe, as mentioned in the article, education and leaders’ support are key factors in maintaining the momentum. Also, education for the nurse managers as well, because sometimes they don’t know how to facilitate implementation of shared governance with their staff. I’m agree with my inpirant Dr. Majeda that the education for nursing managers is the most important factors to support shared governance in health care facilities…. and this target should enlist in Unit based councils agenda and strategic plans for hospitals. 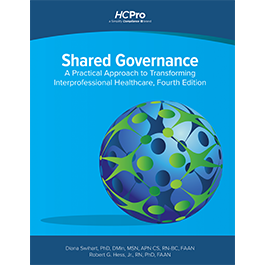 I am very new to this site, but where would I start looking for educational programs for implementing shared governance in an outpatient setting for staff and managers?